Last Saturday, “Train to Paris” climaxed at UIC HQ and throughout Europe as trains arrived bringing delegations to the COP21 negotiations. Numerous stakeholders have been involved and UIC would like to thank in particular the organisational team, the UIC staff, speakers involved in the high-level event discussions, our sponsors ERA and UNIFE. This campaign would not have been possible without the support and hard work of the railways involved: DB, NS, Thalys, FS, CP, RZD as well as major French transport actors, SNCF and RATP. The high-level event at UIC was a success thanks to the contribution of various providers: Mahola, Digital Essence, Images Pro, EV Corp, Antoine Jézéquel et Philippe Fraysseix, Julie Boileau, Marc Fauvelle, Axiom-Graphic, Arum, Thierry Marx and Cuisine mode d’emploi, the Pullman Paris Eiffel Tower hotel. Special thanks to our media partners and journalists: Neoplanète, Eurailmag, Jura, la Vie du Rail, Minirex AG, Railway Gazette international, Railway Pro, The RZD partner international, The Verb, Think railways, Via Libre, For Jernbane, Valeurs vertes, IRJ, as well as Pierre Tessier who embarked on the Transsiberian journey. 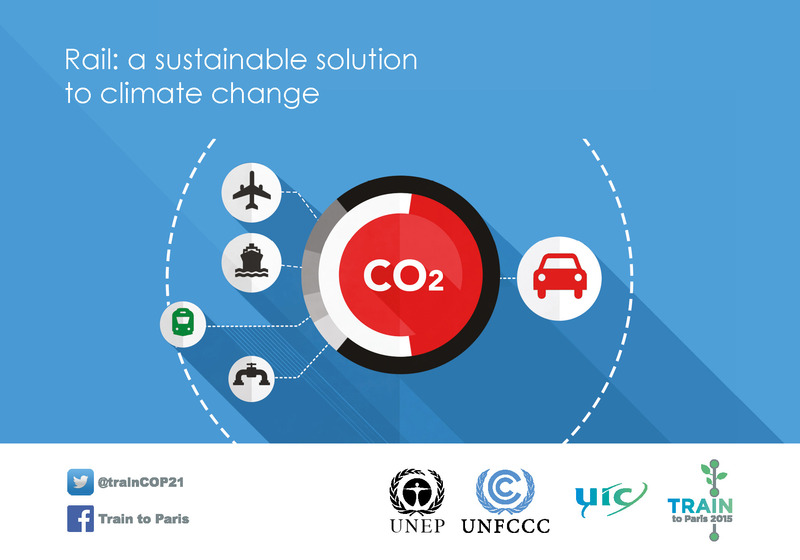 We wish the COP21 negotiations every success and take this opportunity to express our deepest thanks to UNFCCC and UNEP for their role in this campaign that continues with COP21 and beyond. We wish to continue acting together in the future, to promote rail as a one of the solutions to fight climate change. Let’s continue our journey, let’s build a more sustainable future! On the low carbon track!